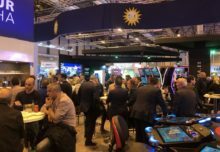 At the heart of the global gaming industry, bridging gambling, entertainment and innovation, Macau has seen its revenue rise year-on-year for more than a decade. As China’s legal casino retreat embarks on its second development phase, it looks to more than double gaming revenues to $115bn in four years. Casinos have existed in Macau for over 100 years, but it wasn’t until a 40-year monopoly held by Stanley Ho’s Sociedade de Jogos de Macau (SJM) was dismantled in 2002, when the industry opened its doors to competition and started growing at an unprecedented rate. There are six casino concessionaires operating in Macau, with contracts until 2022. Each operator has amassed a small fortune and is reinvesting in the market with new projects. Las Vegas Sands, the most influential operator next to SJM, risked $2.4bn back in 2007 to build The Venetian Macao on desolate land and introduce the MICE (meetings, incentives, conventions and exhibitions) model to gaming business. The reclaimed land became Cotai, combining the names of Coloane and Taipa, which quickly became the industry’s most sought-after real estate. Now home to six integrated casino resorts, the Cotai Strip is the target for new development. The latest burst of expansion will bring eight new gaming resorts to Macau by 2017, adding to the existing 35 venues. According to US brokerage Wells Fargo, the new casinos will grow the market’s annual gaming revenue to US$ 115bn. Sands is building its fifth property in Macau, the $2.5bn Parisian that will house a 3,000-room hotel and bring the operator’s total number of rooms in the region to 12,000. It will also feature a 50pc scale-to-scale replica of the Eiffel Tower. Galaxy Entertainment, which owns six casinos in Macau, is investing in its biggest expansion to date and has started to roll out the next three phases of its flagship Galaxy Macau on the Cotai Strip, estimated to cost $10bn. Melco Crown, the joint venture between Melco International, chaired by Stanley Ho’s son Lawrence Ho, and Crown Limited, chaired by Australian casino tycoon James Packer, is developing Macau Studio City, a large-scale resort project on Cotai. US operators Wynn Resorts and MGM Resorts are intensifying competition in the region, each building their first property on Cotai. Wynn Palace, budgeted at $4bn, is set to open ahead of Chinese New Year 2016 on a 52-acre plot behind The City of Dreams. MGM Cotai, also due to open on the Cotai Strip in 2016, will focus on entertainment as well as gaming, with theatres, galleries and arcades. It supports the government’s plan to diversify Macau from pure gambling with mixed entertainment resorts that boost tourism, creative and media sectors. SJM recently broke ground on its first property on Cotai, adding to its collection of 14 casinos in the peninsula of Macau. With a price tag of $3.9bn, Lisboa Palace is scheduled to open in 2017 with 1,200 slot machines, 700 gaming tables, and more than 2,500 rooms, including a Versace-branded hotel. Located behind the Cotai Strip, next to the Macau dome, Lisboa Palace will be the last new property of all six operators to open during the second phase expansion. Driving the activity is expanding wealth and growing middle-class tourism in China. Visitation from mainland China is rising exponentially and Macau Government Tourist Office figures show that over 770,000 visitors travelled to Macau from the mainland during this year’s two-week Chinese new year holiday, reflecting a 23pc year-on-year increase. 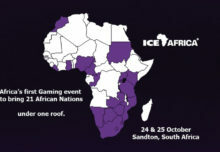 Hotels are running at occupancy rates of more than 90pc and casino floors have a constant flow of enthusiastic gamers. New infrastructure projects will support the growth. A 50km link between Hong Kong, Macau and Zhuhai is due for completion in 2015 with construction costs estimated at $10.7bn. China’s expansion of its high-speed train network is also reducing travel times, which is expected to further increase visitation from the mainland. According to official figures, only 4pc of Chinese have visited Macau, leaving huge opportunity for sustained growth in the years ahead. Gross gaming revenue in Macau increased by 19pc to $45.2bn in 2013, which is around 7 times the revenue generated on the Las Vegas Strip. The whole of Nevada generated $11.14bn in total gaming revenue last year, the state’s best annual tally since 2008, but is still roughly a quarter of Macau’s total. No wonder casino operators are placing focus on the 29.5 km2 island in southern China.